As a lot of you probably know, one of my favorite websites for finding pre-owned luxury and designer pieces is Vestiaire. They carry all of my favorite brands - Chanel, Hermes, Gucci, Louis Vuitton, Celine, Prada, YSL, etc. When it comes to choosing a pre-loved investment piece, I'm extremely intentional about making sure the quality is still perfect. At Vestiaire, every item is throughly and rigorously checked for quality and authenticity before it's shipped to the buyer. 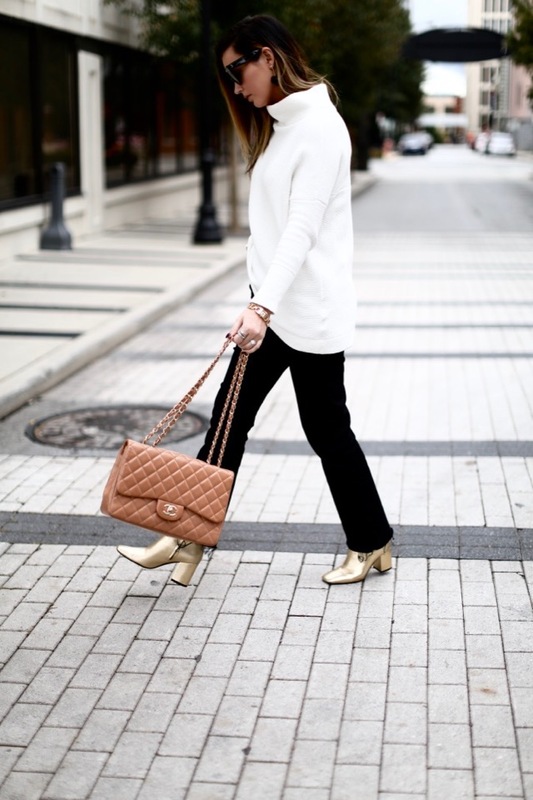 I found this Chanel bag on Vestiaire about a year ago and it quickly became one of my favorite pieces in my closet. It came wrapped in the original Chanel packaging and looked as good as new. Definitely my go-to site for finding that vintage or pre-owned investment piece you've wanted for years! I hope you all have a great weekend and thanks so much for stopping by! x. 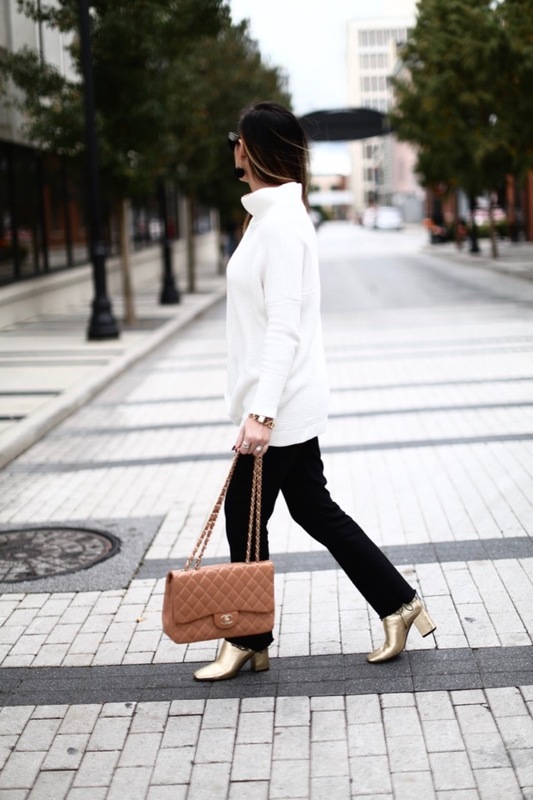 Thanks to Vestiaire for partnering on this post! I adore this look! That sweater is perfect! You're such a star! Love this minimalistic combo on you! Great bag and unique boots!